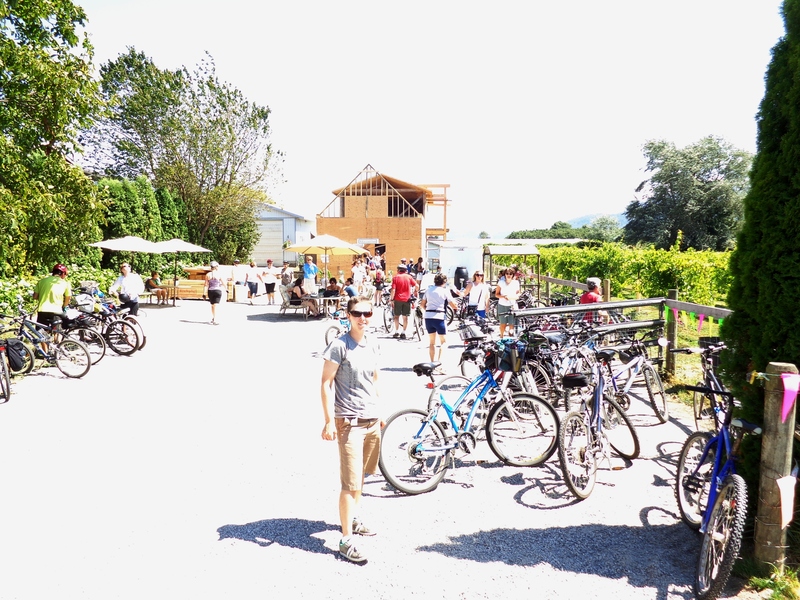 Over the past few weeks in the UBC Farming Practicum, we have had the wonderful opportunity to visit a variety of farms throughout the Lower Mainland. These trips have offered us a fantastic opportunity to compare how different people have made farming and food distribution work for them, giving us ideas and inspiration for what we want to do, as well as steering us away from what doesn’t work. From our trip to a conventional dairy farm, an organic food distribution centre, a large scale organic farm, a small co-operative, and a multi-use community farm, here is my learning and comparison of our trips. 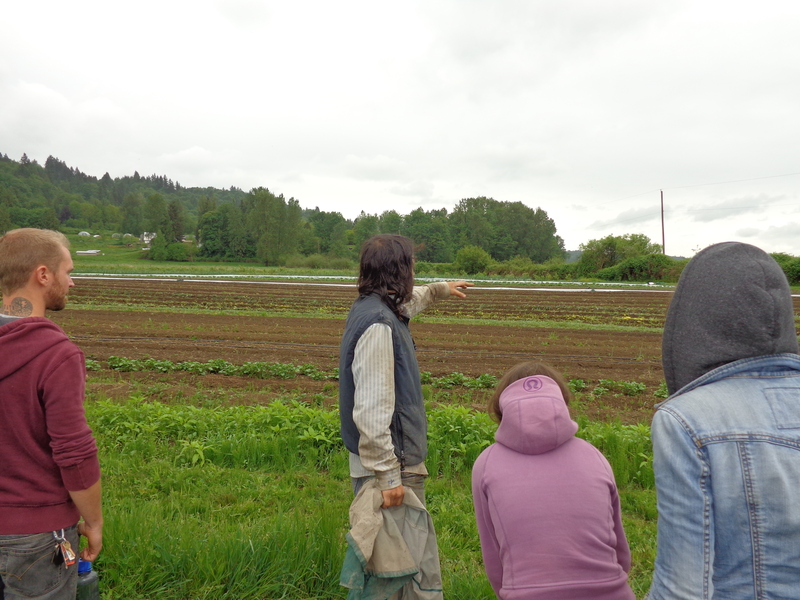 Our first field trip to Snow Farms certified organic farm in Delta, BC, was an eye-opening experience. 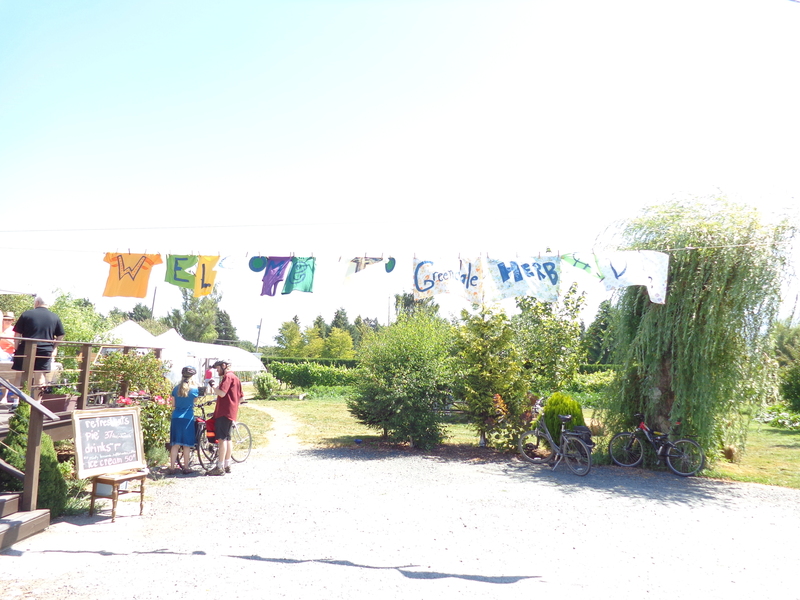 Although I grew up next door in Tsawwassen, I had never visited a farm in Ladner. 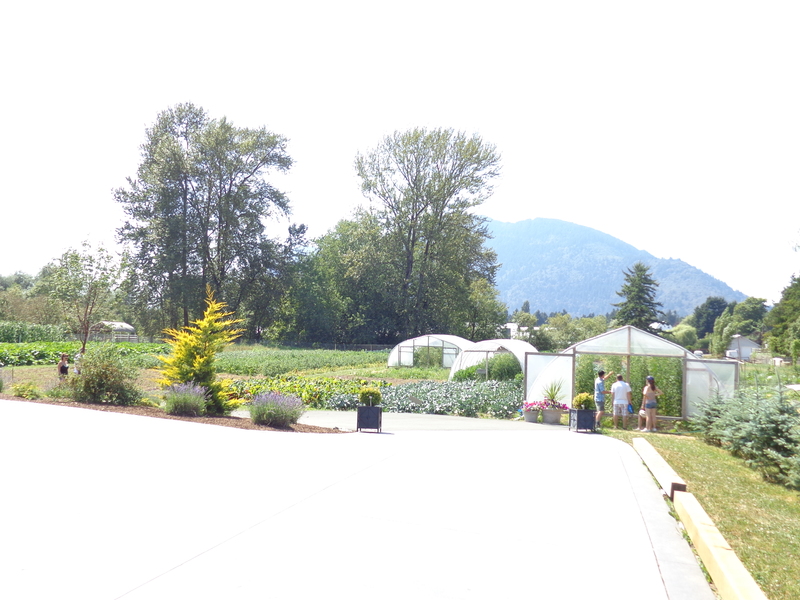 At 67 acres, Snow Farms is the second largest organic farm in BC (and the first is over 1000 acres), and Harvie and Susan gave us a detailed tour. A much larger scale farm than I’ve been on before, I was somewhat amazed by the amount of money and energy that is put into equipment, buildings and other costs. Investment in tools to speed up things like washing beets, seeding trays, fertilization, and other specialized implements are key to the growth of this farm, because every investment allows for more productivity and thus more sales. 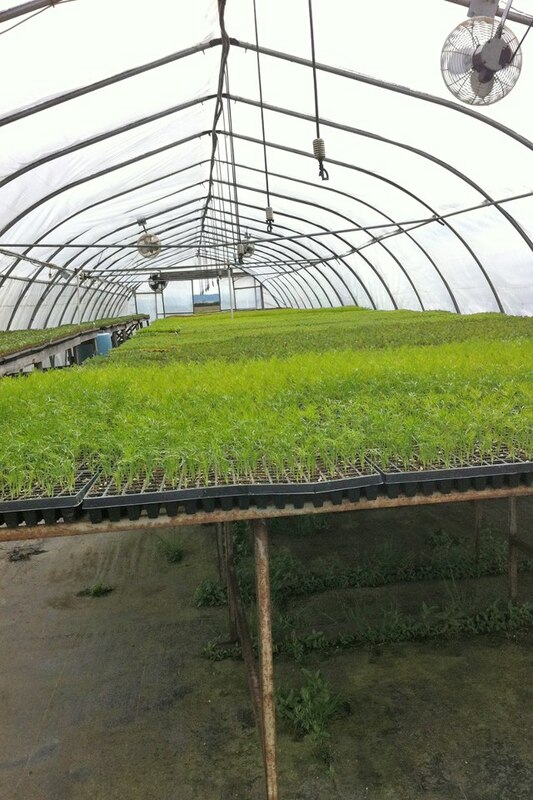 A farm like this sells to wholesalers and distributors, not at farmers’ markets, and thus has to deal with the attendant trials, such as the year the customers told them to grow more peppers, but then decided to buy from the Mexican market instead. Large scale production also means that large amounts of land are dedicated to single crops, and a failure of one crop due to pests, disease or weather, can be devastating. Another point brought abruptly to my attention was the use of sprays and chemicals. Although I did know it before, I am still taken aback when reminded that organic certification doesn’t mean that no pesticides/herbicides are allowed, but rather that only organically approved ones can be used. I do not know the details of what exactly is allowed or not, but it is interesting the balance that different farmers look to strike with these tools. Each farmer decides for themselves how far to go. But the farm was a fantastic experience, and it was so interesting to see all the different tools that can be used to improve efficiencies. Discovery Organics is a major organic produce distributor in Vancouver, providing international organic and fair trade produce to grocery stores like Thrifty’s in BC. We spent time talking with owner Randy, and learning about his journey and his commitment to farmers. He described how each year, he spends months with farmers in Latin America, ensuring that the producers of mangoes, bananas and dragonfruit are being fairly compensated and are conforming to organic standards. Randy shared with us important points of note for producers wanting to sell to distributors, such as the importance of having the proper boxes, bags, etc, for each product, because of the requirements of the retail outlets (that’s right, there’s a special way to box up cauliflower or apples), and key points of business, all things that farmers often don’t have the experience and skill set to do well. My general impression of the distribution centre was of being overwhelmed. The sheer scale of the administration and coordination of so many buyers and producers, the logistics of trucks arriving regularly and the appropriate produce being shipped to the correct place, nevermind the specific needs of each fruit and vegetable (apples kept in one cooler, bananas stacked in a certain way, certain produce that absolutely must not be near certain other ones), was completely baffling. 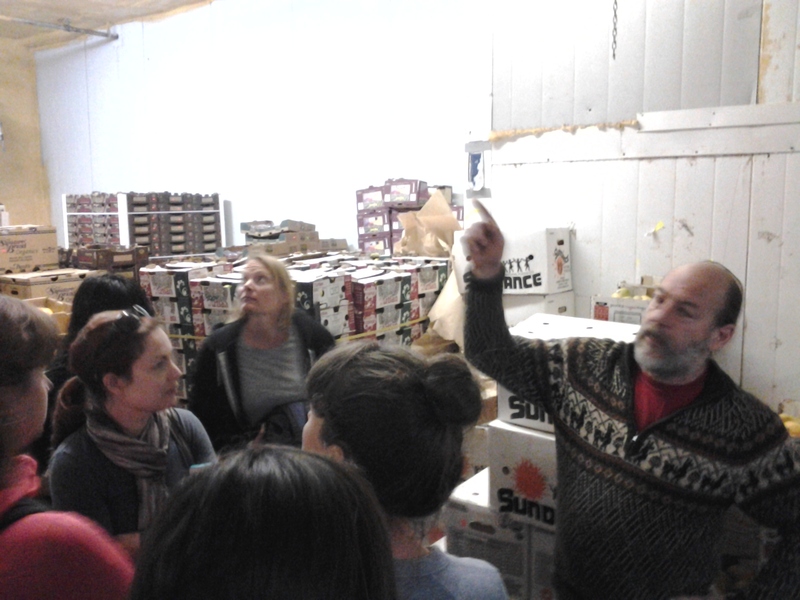 And this is a comparatively small distributor, that only deals in organic produce. The other thing that struck me was the plastic. Huge amounts of plastic are involved in shipping things across the globe, and even though it means that less food goes bad, it still breaks my heart to think of all the plastic that ends up in the landfill, never to biodegrade, because we insist on having mangoes. 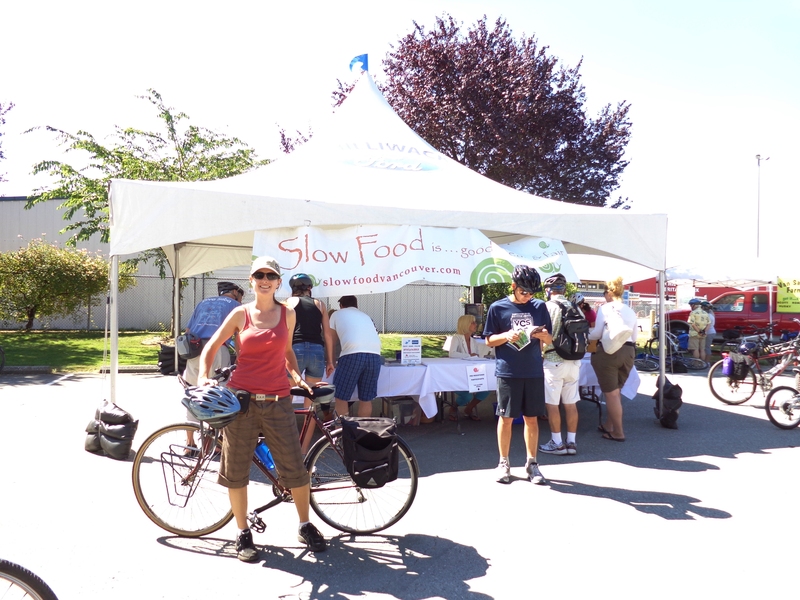 Stocking grocery stores with organic produce is important – the majority of people in Canada shop for their produce there, no matter how busy the farmers markets seem – but our reliance on this global food system is problematic, even an organic one. Glorious Organics was a breath of fresh air for our group, overwhelmed as we were by the large scale of our first two visits. 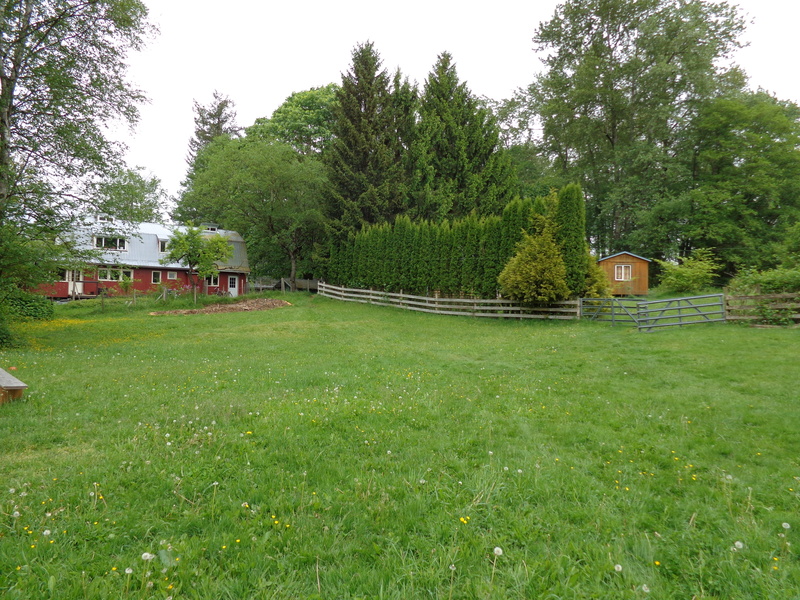 This whimsical farm is co-operatively owned and managed, and the incorporation of permaculture principles is evident in the forested surroundings, native plants, and inclusion of animals in their farming. The organization of the farm means that many decision makers are involved at all points, which means that many discussions, like how to reduce dependence on fossil fuels and plastic, are brought up. This kind of farming is intriguing, because it would certainly mean that decisions are more difficult to come to, and no doubt frustrating at times, but means that all aspects of sustainability – human, environmental, financial – are taken into account. I certainly left the wild, co-operative and tasty (we snacked on greens as we toured) Glorious Organics thinking, I would love to live there. But it still has many of the challenges of other organic farms, including having to truck in off-farm compost for soil amendments, battling with deer that will demolish crops, and finding high-end buyers for their crops in order to keep the farm financially viable. 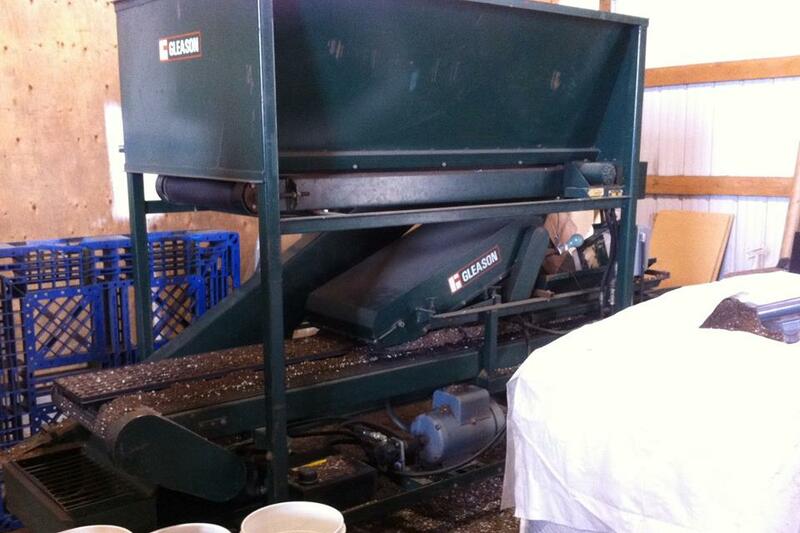 Glen Valley is another co-op farm example, and one that has been successful in establishing a profitable organic farm. 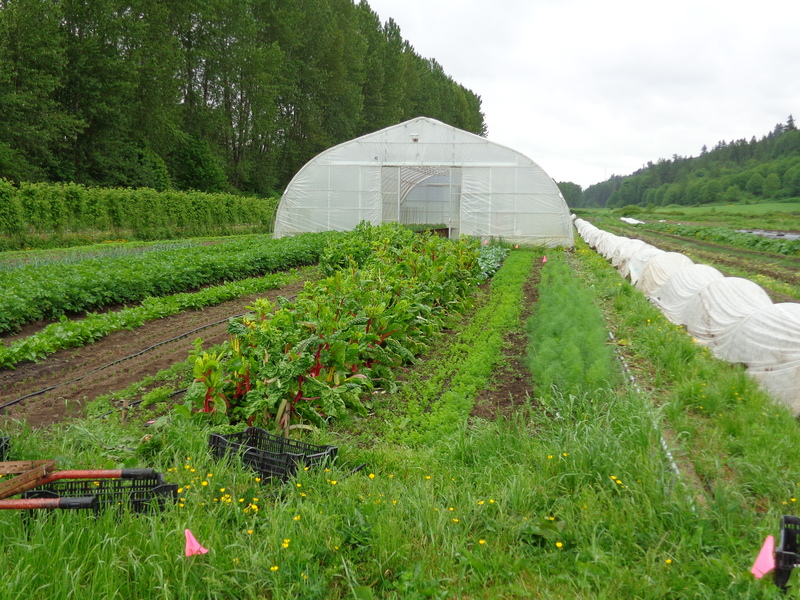 Glen Valley incorporates mixed vegetable farming on low-lying fields, dealing with the major threat and reality of flooding along the Fraser River. The great soil available is challenged by this flooding, and by frequent saturation and low drainage. Jeremy, who toured us around, is a very realistic farmer, but he also has that passion that keeps him going through disaster years. 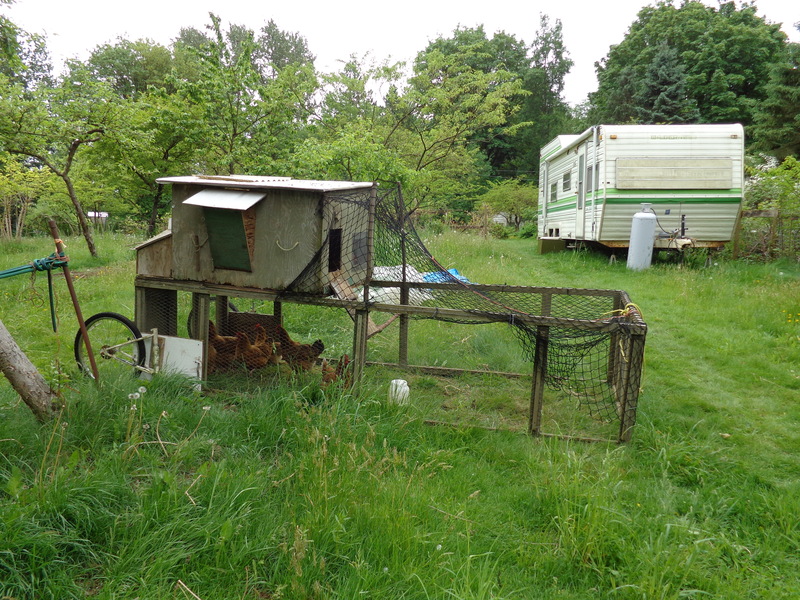 The farm also has a large contingent of laying chickens, including a small flock of heirloom breeds, and I do have a particular interest in chickens. At the end of a long day of touring the Fraser Valley, it was difficult for our group to muster a lot of energy at Glen Valley, but it is a great farm, demonstrating the kind of system that will probably be a reality for many of us – traditional field of vegetables, barn of chickens, and the co-op funding model that allows young farmers like us to get our hands on land. 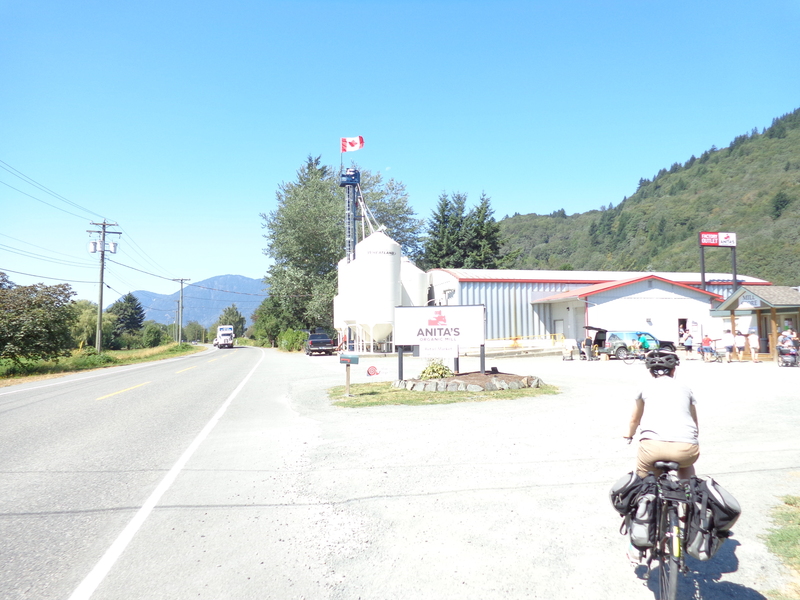 Our most recent trip was a different track for us, visiting a conventional dairy farm in Delta. The average dairy farm in BC is only about 150 cows, and although there are some that run about twice that size, they are dwarfed by the size of American dairy farms. Although the cows are treated humanely by conventional standards, they still live their whole lives on concrete floors, are impregnated as soon as they are sexually mature, and kept pregnant (via artificial insemination) continuously throughout their 5-6 years of milking. Calves have their tails docked and horns burned off, and are taken from their mothers within 24 hours of birth, males being sold at auction. Cows are susceptible to disease and injury. While not as horrifying as I had imagined dairy farms were, it also was not the most pleasant. But, unlike what BC Dairy wants you to think, they definitely do not spend their lives on pasture. The level of mechanization at the farm was astounding. Milking machines are able to monitor every aspect of the cow’s health and milk. There were also automated manure removing bars in the barn, funneling off the many tonnes of manure produced by the large herd. Although I don’t fully understand the process, it is clear that the dairy industry is a strange loop of keeping farmers in debt by forcing them to buy quota to produce milk and having very stringent standards, while at the same time using marketing powers to convince the Canadian public that milk is an essential part of our diet and health. The farmers don’t seem to be making any money, so it must be going to those big companies like Lucerne and Dairyland, who use branding to convince you to buy their milk, and therefore leads to milk being shipped from Vancouver to Vancouver Island, and vice versa (why not just keep milk where it comes from? Same product!). The difference between conventional and organic milk is summed up fairly well in the clip below, but is disturbing because they basically conclude that there is no difference between conventional and organic milk, that it’s not worth paying more for it, because most humans don’t take into consideration the happiness of the cows. Personally, I think that’s a pretty important part, and though I am weaning myself off dairy for environmental reasons as much as possible, when I do buy it, make it organic.